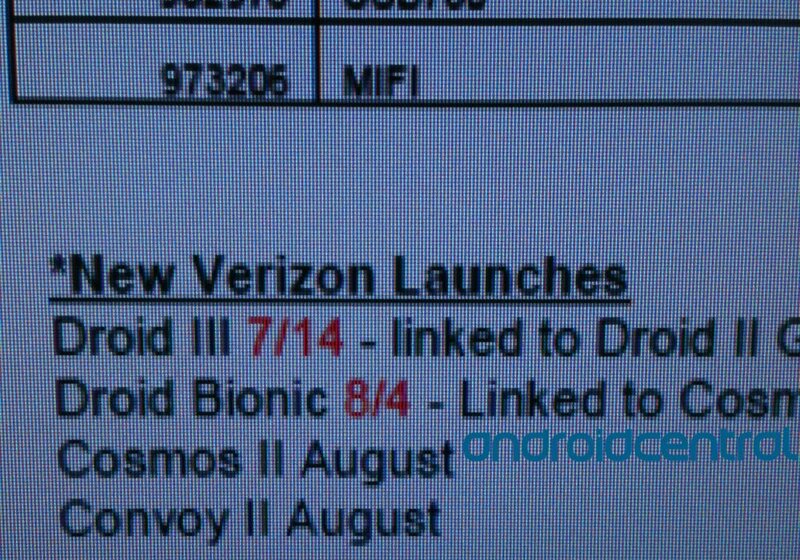 Might we finally have a launch date for the Verizon Droid Bionic? It just went through the FCC. And according to this screen shot we just received, it looks like Aug. 4 might finally be the day (which would match a third-quarter window noted previously). That would be just about seven months since the Bionic was announced by Motorola at CES. (See our hands-on.) And since that time, it's gone back underground for a hardware overhaul, and we'll likely see updated software, too. Neither the new hardware nor new software has been confirmed by Motorola or Verizon, however. And all that said, here comes our usual "Launch dates are subject to change" speech. There's still nothing official, but this is as good as we've seen so far. BTW: Note the confirmation of the Droid 3 launch date, too. More: Droid Bionic forums; Thanks, Anon!